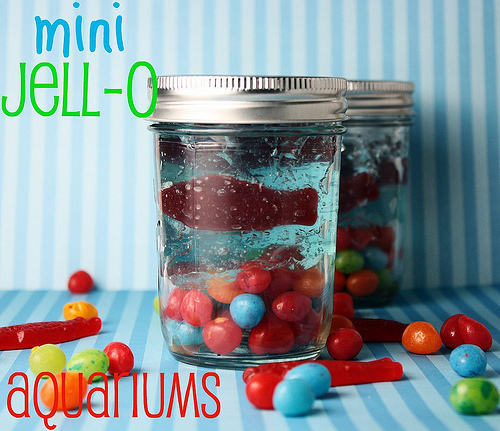 I gasped at this mini jello aquarium from Confessions of a Cookbook Queen! What a great summer party favor. I can see kids eating their way through the jell-o to get to the fish and candy rocks. And it's definitely got a bit of wow factor. You can use this for any Under the Sea/Mermaid/Nautical-themed party. Get the full directions here.